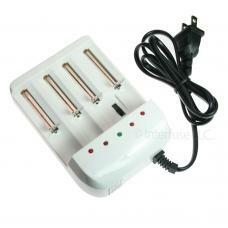 A new 4 slot battery charger for 18650, 18350, 16340, and 14500 li-ion rechargeable batteries. The charger will charge the battery to max capacity and quit charging when it is complete. We ship items ship out the same or next business day and most Saturdays.